I’m sure I’m not alone when I say that I’m glad to be done with cold and dreary weather. Bring on the sunshine! But my excitement is tempered a bit because, like many people with MS, I find the heat exhausting; it saps my energy and makes it even harder to get through the long summer days. So whenever I feel worried about the heat of summer, I focus on the fact that the sun helps provide vitamin D, which our bodies create when bare skin is exposed to sunlight. 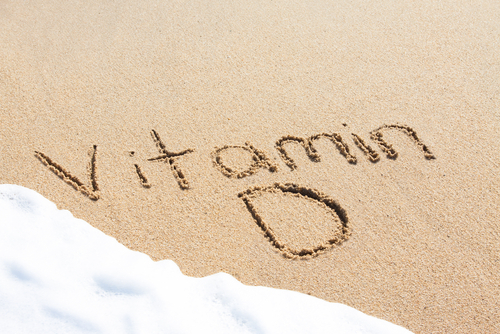 Why is vitamin D so important? Well, you’ve probably seen articles discussing the benefits of vitamin D, and the issues that arise when you don’t have enough. Vitamin D can protect against depression and osteoporosis. We need vitamin D to absorb calcium, which is critical for bone health. And there is also evidence that a reduced level of vitamin D may influence disease activity for those with multiple sclerosis. In fact, there’s some evidence that the farther away from the equator a person lives (and the less sun exposure they have) the higher their risk of developing MS. So if vitamin D is so important, how can you make sure you get enough? While it’s important to protect your skin with sunscreen to reduce your risk of skin cancer, spending 10 minutes each day outside may help. Take a walk in short sleeves, or enjoy lunch on a park bench. You can also take supplements, which your physician or neurologist can prescribe for you after checking your vitamin D levels to see if they’re low. Foods such as fatty fish (tuna, salmon and mackerel), egg yolks, and cheese can also provide a good amount of vitamin D.
So enjoy the sunshine; summer is not only a beautiful time of year, it may be good for your health!